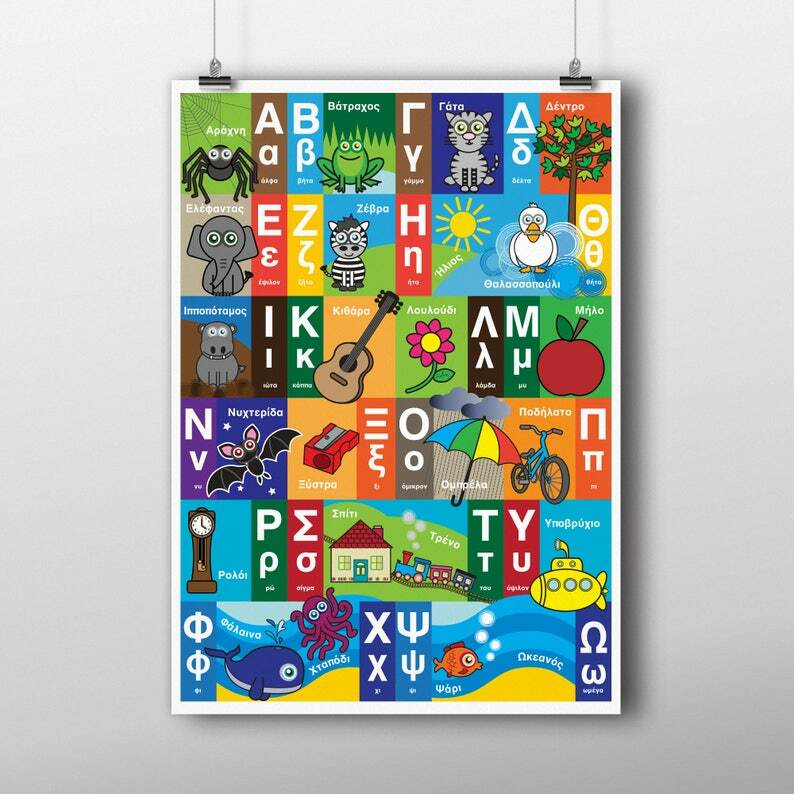 Alphabet wall art in Greek! Bright and colourful, based on the illustrations within my books, this is a fun way to help your child learn the Greek alphabet. Especially if it's on their bedroom wall! Download your files, print at home, at your local printer's, or upload to an online printing service. NO ACTUAL PRODUCT WILL BE SHIPPED TO YOU. You will receive 1 high resolution PDF file with 4 pages to print any of the sizes below. After checkout you will receive an on-screen confirmation and an email from Etsy that your order is ready for download. You will be able to access this print at all times through Etsy's purchases page. Colour Disclaimer: There may be a slight difference between the colours on your monitor versus final print. Original art copyright © Stella Boakes 2018. All Artwork is my property. Original artwork shall not be used for promotional, for profit or non-profit uses. Copyright is retained by the artist following the sale of the item. My second order from this buyer. Quick and easy to use as always. Love the bright colors of this print.